By now I am sure many of you know of my two new versatile, lovable, fun and fashionable Baby-G watches. I am ever so in love with them as I can wear them every where and with every thing! It goes along with anything edgy yet still exudes femininity. So when I was out on a shopping spree few days back, I wore one of my Baby-G watches out. Thank god I chose this to be worn out on that specific day as KL was pouring cats and dogs, I thought the rainy season has ended? Guess not. 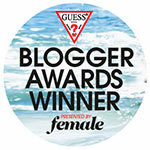 Baby-G, BGA-153-1B analog and digital watch as seen on Yuri from Girl's Generation! There's a timekeeping function, countdown timer, stopwatch, an alarm function, and also world time. 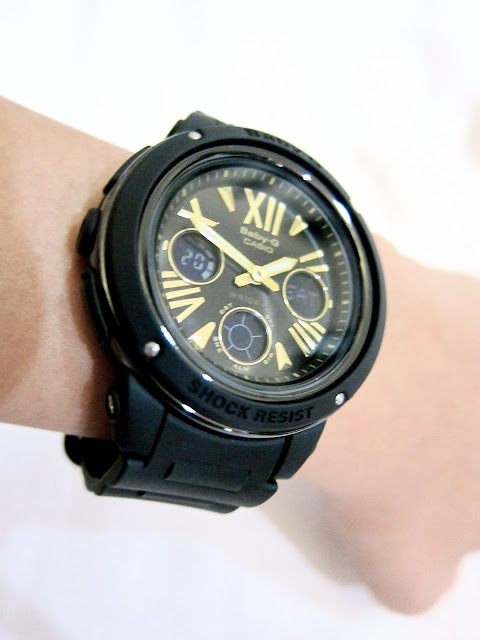 Furthermore, it is also water resistant as mentioned above and also shock resistant which means, Baby-G watches are resistant from superior shock and vibration which stands up to the toughest conditions you can imagine. Plus, the detailing on the watch is just exquisite! Though it is in black, the gold trim and edging around the dials just gives it that touch of femininity, toning down the harshness of the color black. Now watch this super cute video of the SNSD girls! Baby-G (model no. BGA-140-7BDR) watch. 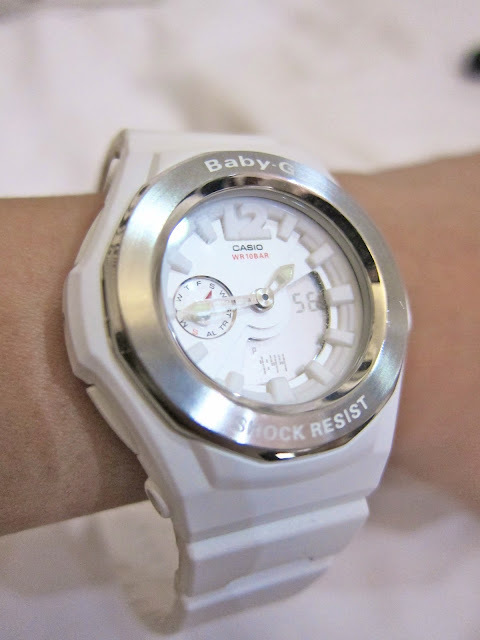 Here, I wore this white Baby-G (model no. BGA-140-7BDR) on a day out with the boyfriend for a movie! I love how it matches so well with my feminine clothes. Pretty in white and with metallic trims. This watch is just awesome, world clock, timer, stop watch, and so on. There's a world time function, with a press of a button it automatically switches from different cities, automatically telling you what time it is. From Singapore to the United States, it's all there. You can even set a 24-hour timekeeping mode. You can even set five independent Daily Alarms. When an alarm is turned on, the alarm tone sounds when the alarm time is reached. Talk about functionality! Plus, you can even set the duration of the Illumination (LED) light to be on for as long as 3 seconds. It's such a down turn if your LED only shines for 1 second, and you have to hold it longer just to see the time. Hurry on up and get your own Baby-G watches now!